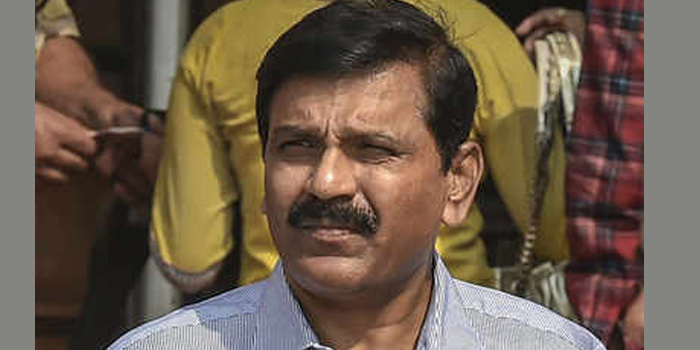 (New Delhi, Feb 12, 2019): M Nageswara Rao Monday admitted that as an interim chief of the CBI he committed "mistake" in transferring former joint director A K Sharma and apologised to the Supreme Court, saying he had no intention to circumvent its orders. Rao, who filed an affidavit in response to a contempt notice issued to him on February 7, said he was praying for an unconditional and unqualified apology by the apex court. "I sincerely realise my mistake and while tendering my unqualified and unconditional apology, I specially state I have not wilfully violated the order of this court as I cannot even dream of violating or circumventing order of this court," Rao said in the affidavit. He admitted that in view of the Supreme Court orders dated October 31 and November 28, 2018 "I ought not have agreed with the legal advice for relieving A K Sharma even in his promotion without prior approval of this court". The Supreme Court on February 7 came down heavily on the CBI for transferring Sharma, who was probing Bihar''s shelter home cases, out of the agency in violation of the court''s order and had directed Rao to personally appear before it on February 12. A bench headed by Chief Justice Ranjan Gogoi took serious note of the violation of the two earlier orders and issued contempt notice to Rao for transferring Sharma to the CRPF on January 17 without taking prior permission from the court. "I unhesitatingly accept my mistake and tender my unconditional and unequivocal apology to this court. I most respectfully pray that this court may be graciously pleased to accept the same," Rao said. He also submitted that the officer was transferred "not with any deliberate or disobedient intent and it is humbly submitted that it was never my intention to undermine the majesty of this court or flout or circumvent any direction of this court.
" The IPS officer, who is additional director in the CBI, said he has highest respect for the apex court and prayed "most humbly and respectfully" that his apology be accepted. In his affidavit, Rao narrated his achievements in 32 years as an IPS officer.